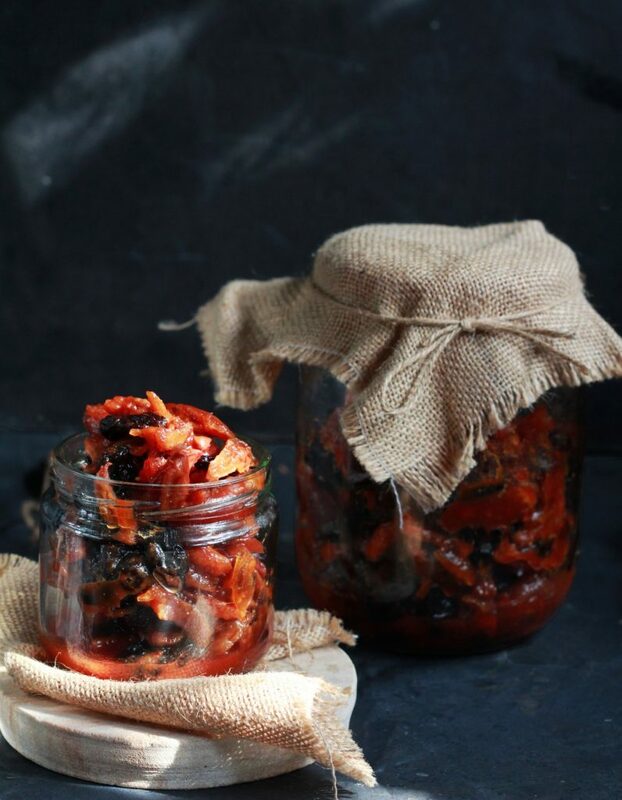 Dried dates and black raisins are soaked in a spiced lemon juice to make this delicious 5 minute pickle. 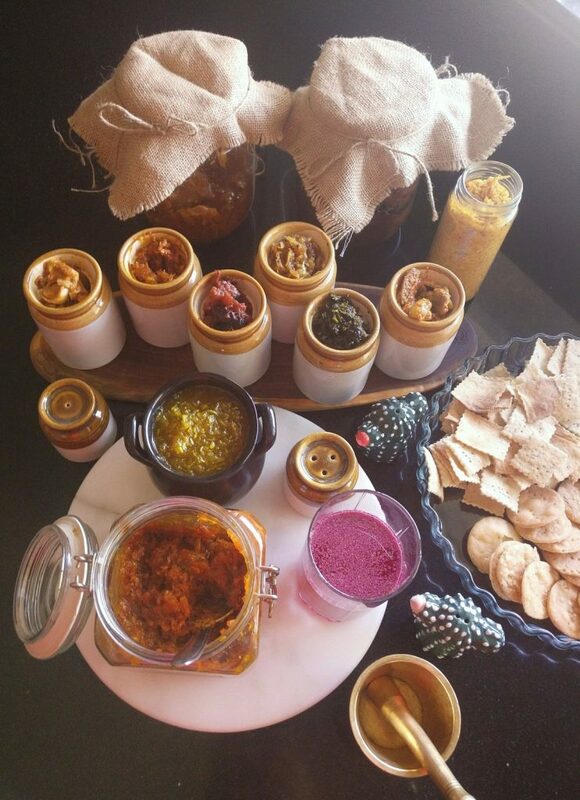 Roll it in roti or fill in sandwiches or enjoy the sweet-tangy-spicy relish on its own!My mom’s Kharik-Manuka loncha is one of my most favourite pickles. Quick, easy and hassle free it takes hardly 10 minutes to make. The pickle tastes so good,I can eat spoonfuls of it. 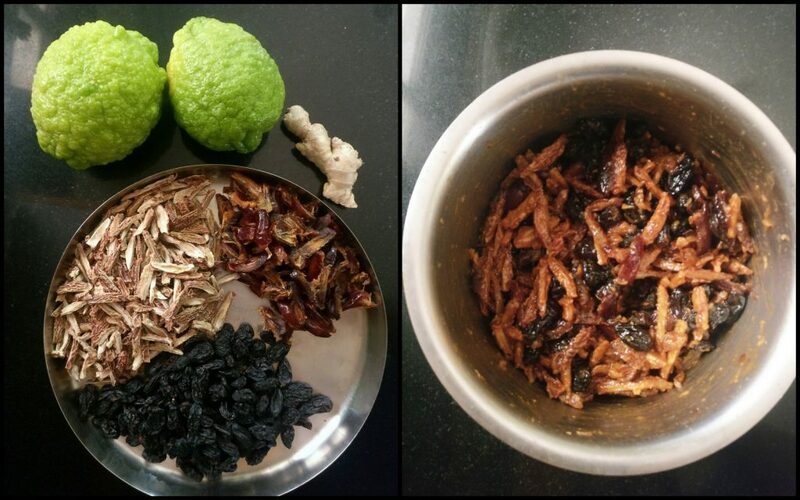 Dried dates and black raisins are soaked in a simple sweet-tangy-spicy ‘khaar’ (juice), that is all it takes to make this simple pickle. It does not need any oil or any special pickle masala etc. Growing up this was one of my favourite accompaniments for Roti, bread and Paratha. 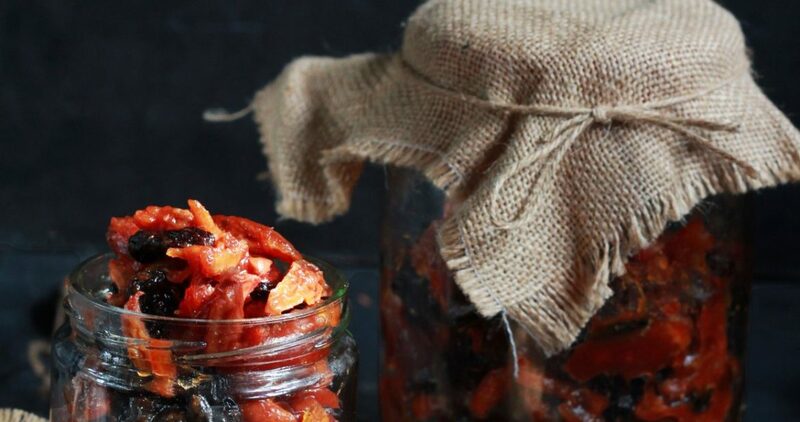 Dried dates and black raisins are soaked in a spiced lemon juice to make this delicious 5 minute pickle. Roll it in roti or fill in sandwiches or enjoy the sweet-tangy-spicy relish on its own! Mix everything together and keep covered in an airtight jar for 3-4 days (minimum) or till the Kharik pieces are just soft . Stir a few times so that everything mixes properly.